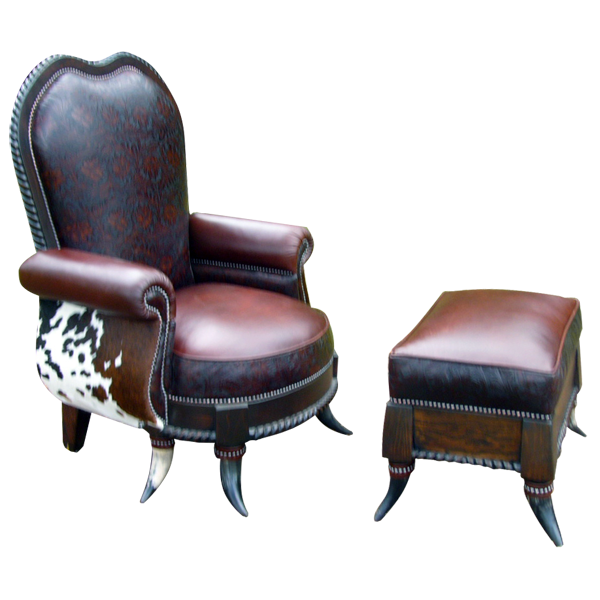 If you are looking for an elegant, handcrafted armchair with Western details, then this custom chair is perfect for you. 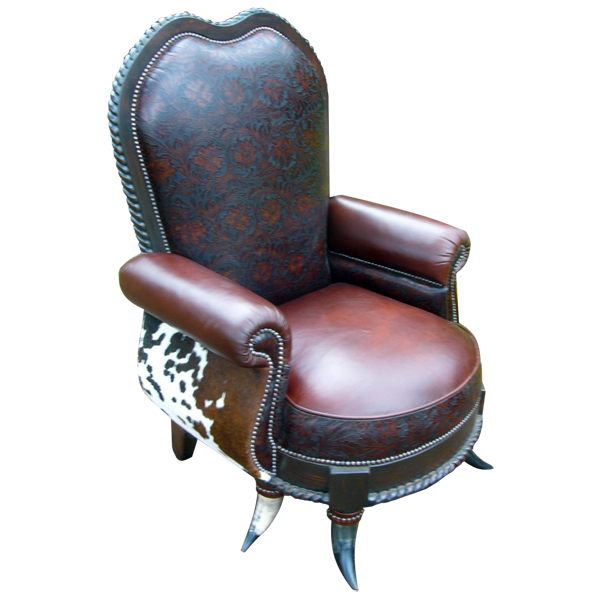 This chair features real steer horn front legs, leather fringe, and full grain leather and cowhide upholstery. The chair is supported by real steer horn front legs and straight, solid wood back legs. Leather fringe is hand tacked to the lower front of the chair. 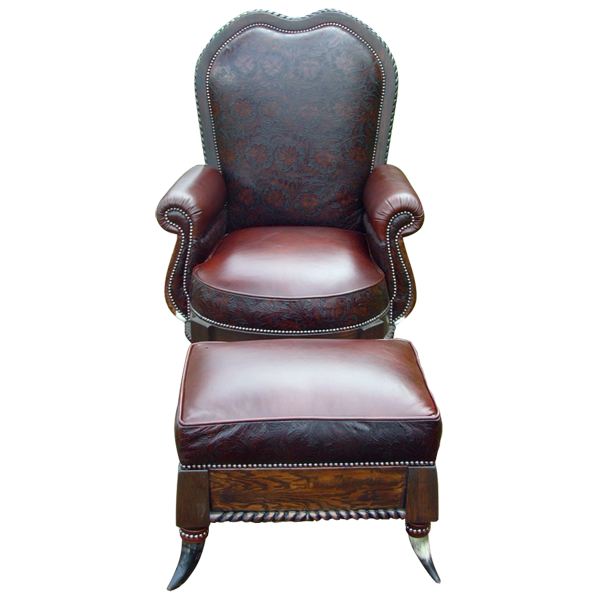 The seat cushion and the armrest of this custom chair are upholstered in rich, brown full grain leather. The petal shaped inside seat back, the lower front of the chair, and the front of the armrest are upholstered in dark, embossed full grain leather. 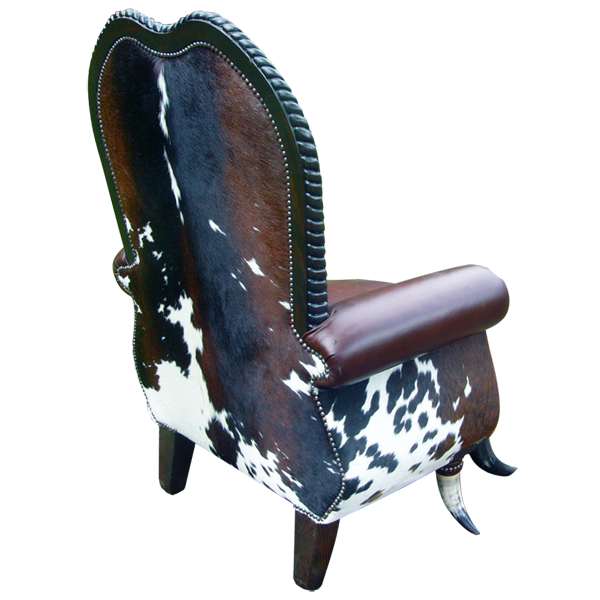 The reverse seat back and the sides of the chair are upholstered in black, white and brown patterned, real cowhide. All upholstery is double stitched together for extra strength and durability. Also, the upholstery is hand tacked with precision to the entire wood frame by our skilled craftsmen. The chair in the photograph is accompanied with a matching ottoman. This chair is 100% customizable.